Our chiropractic care center has been catering to families of every description for over three decades. We feature state-of-the-art diagnostic technology, on-site X-ray capabilities, a warm and homey atmosphere, and the very best in gentle chiropractic care. Whether you are suffering from injury, chronic pain or are simply interested in reaching optimal health, we can help. Dr. Pavel Bence has over 30 years of experience, and the tools and expertise to handle even the toughest cases. His chiropractic techniques are safe, gentle and effective, as well as research-based and scientifically validated. Dr. Bence was one of the first doctors in the state of Michigan to become a certified Wellness Practitioner. Our mission has remained the same for over three decades: to transform lives through skillful and compassionate care that assists people in living a happier life. Simple as that. Call (586) 978-9900 to request your FREE consultation now! 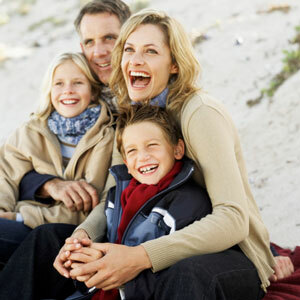 Dr. Pavel Bence is a caring family chiropractor with over 30 years of experience. Our patients appreciate our attention to detail and patient-centered approach to care. We feature on-site X-ray capabilities, as well as professional massage therapy options. We’ll get you feeling better quickly. Contact us today for a same-day appointment!